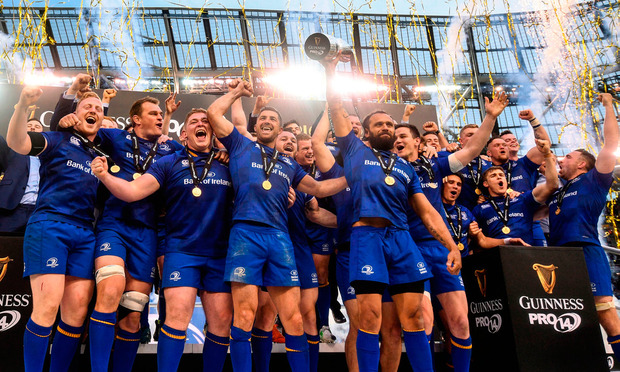 Champions Leinster will begin the new Guinness PRO14 season by tackling Cardiff Blues in the Welsh capital on August 31. Organisers have announced fixtures for the first 17 rounds of league action, which sees two seven-team conferences unchanged from last term. Leinster line up in Conference B, along with the likes of last season's European Champions Cup semi-finalists the Scarlets, with the Welsh region's opener being a September 1 appointment with Ulster in Belfast. South African sides Toyota Cheetahs and the Southern Kings, meanwhile, launch their second PRO14 campaigns against Munster and Zebre, respectively. The first weekend's fixtures are completed by Ospreys entertaining Edinburgh, Connacht hosting Glasgow and Italian side Benetton meeting the Dragons in Newport. The opening game in South Africa is on September 15 when the Cheetahs meet Glasgow, while Leinster and Scarlets are set for an early rematch following last season's final when they clash in west Wales on September 8. Games will be screened live by a number of broadcasters, including Premier Sports and Free Sports, Welsh channel S4C and Super Sport in South Africa. PRO14 tournament director David Jordan said: "Our new broadcast arrangements will drive up the broadcast standards, and supporters should rightly get excited by what is to come. "We are confident that we have respected the wide-ranging criteria required to produce the fixture list, whether that is accommodating traditional Friday or Saturday match-days for various clubs, or working around clubs who share venues with football teams."